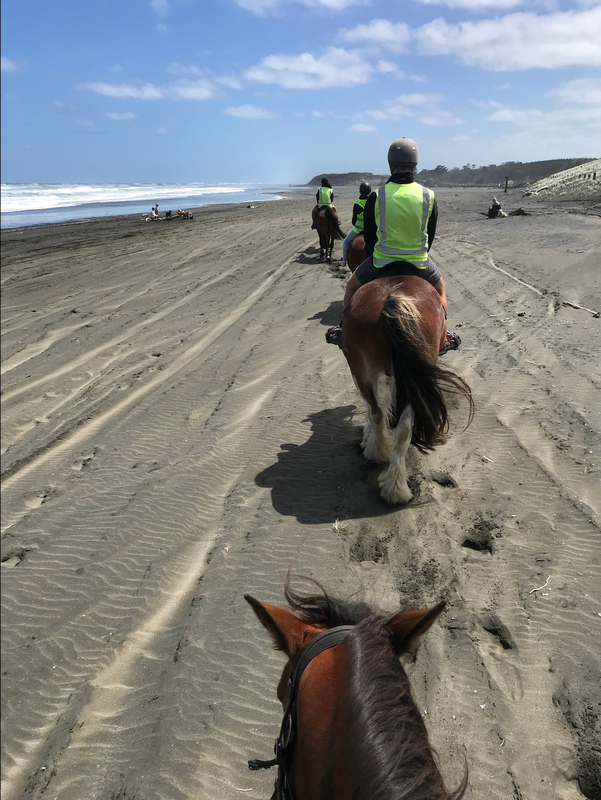 Voted one of the top five horse treks in the whole of New Zealand, I was really looking forward to a morning of horse riding at Muriwai Beach. 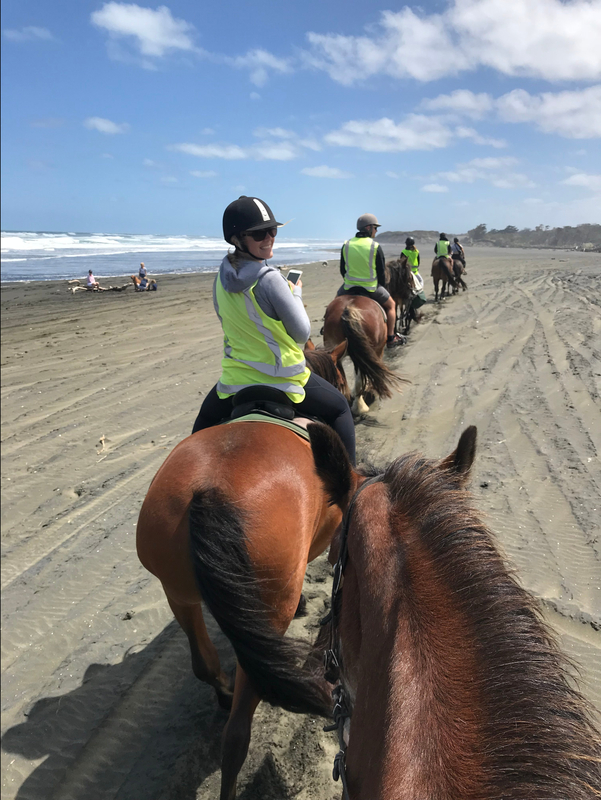 A forty minute drive from Auckland, Muriwai is situated on the west coast and Muriwai Beach Horse Treks offers a two hour ride for $140.00. 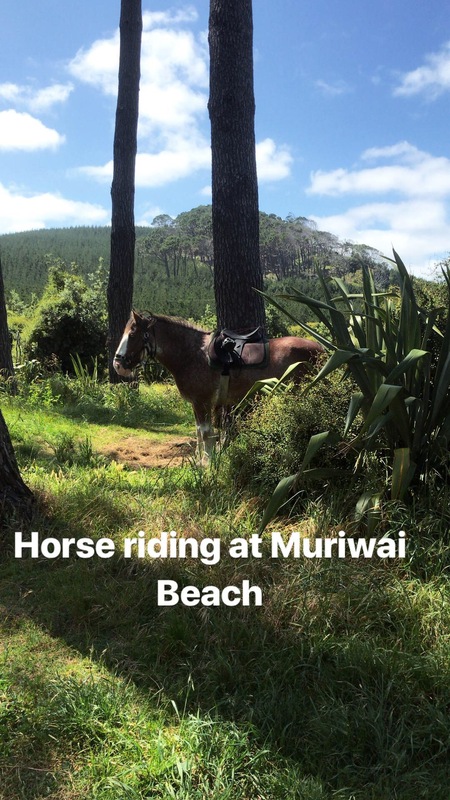 We assembled just near the beach and were all assigned a horse based on our ability. 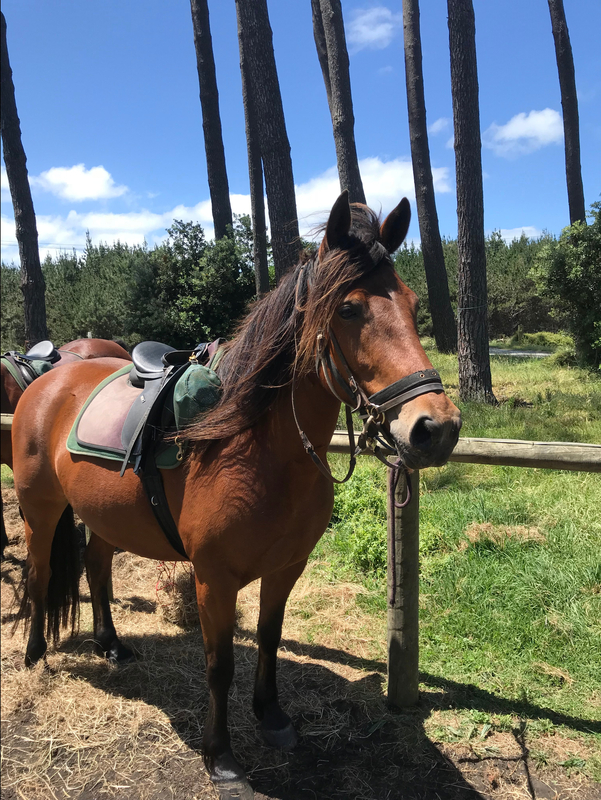 There were seven of us in our group and two instructors – one rode at the front and one rode at the back. 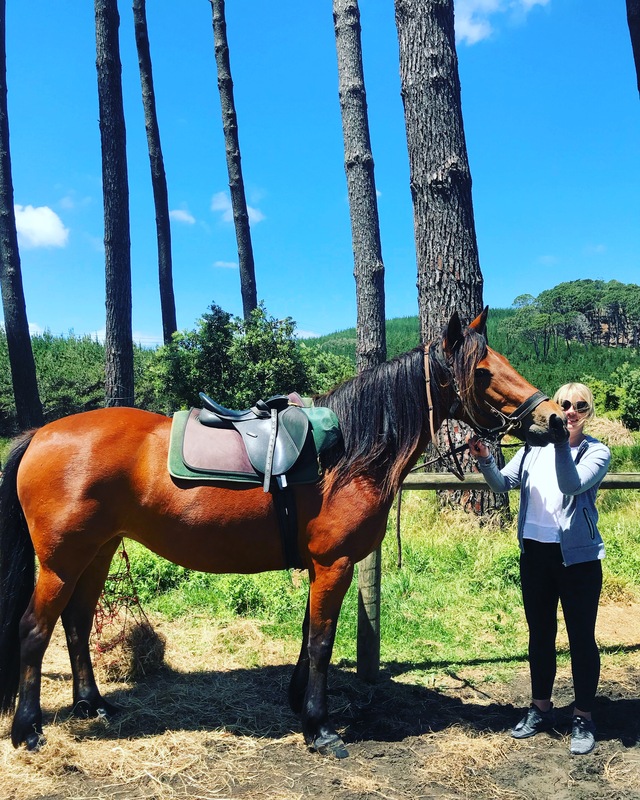 The horses have all been at the riding school for years and all have their own hierarchy so they all walk one behind the other in a particular order. 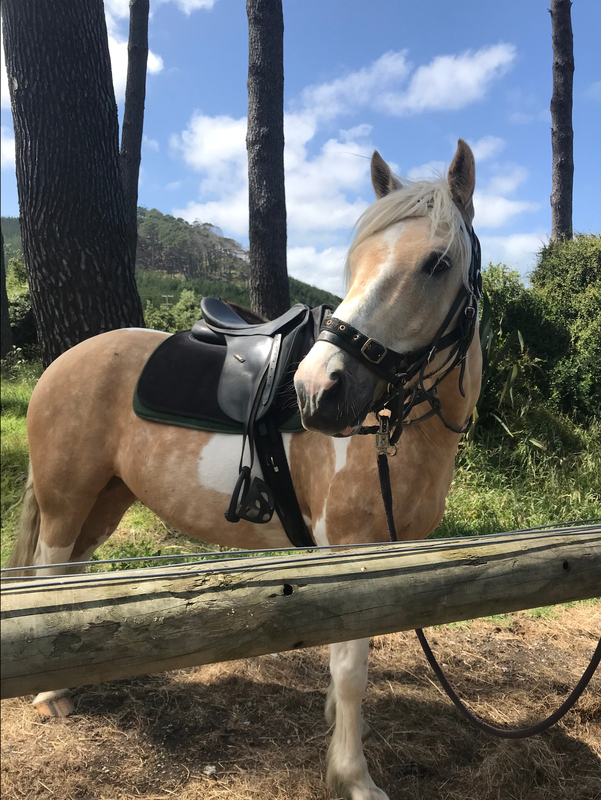 My horse had a particular habit of wanting to walk along the grass verge of the path rather than on the path so that was fun! 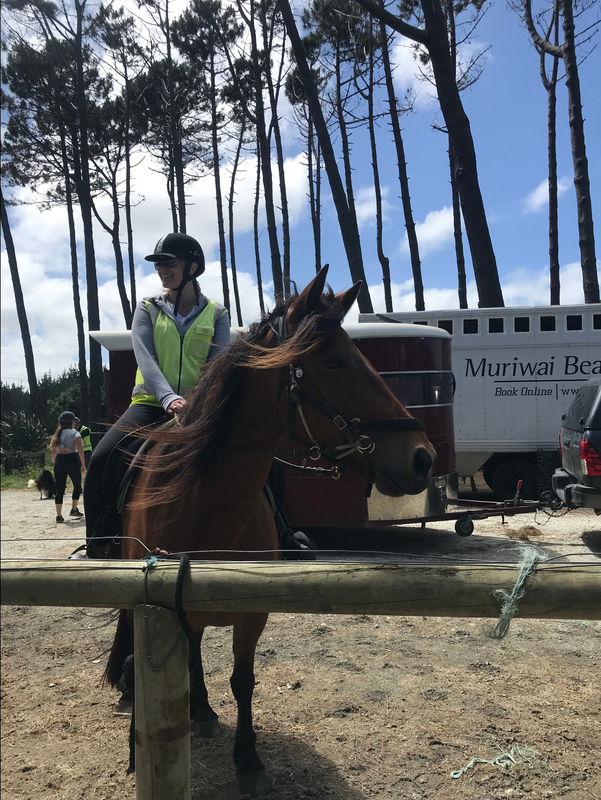 The horses were all really well behaved though and it wasn’t long before we were on the beach. After a bracing walk along the beach we headed into the forest on a loop walk which eventually took us back to where we started. 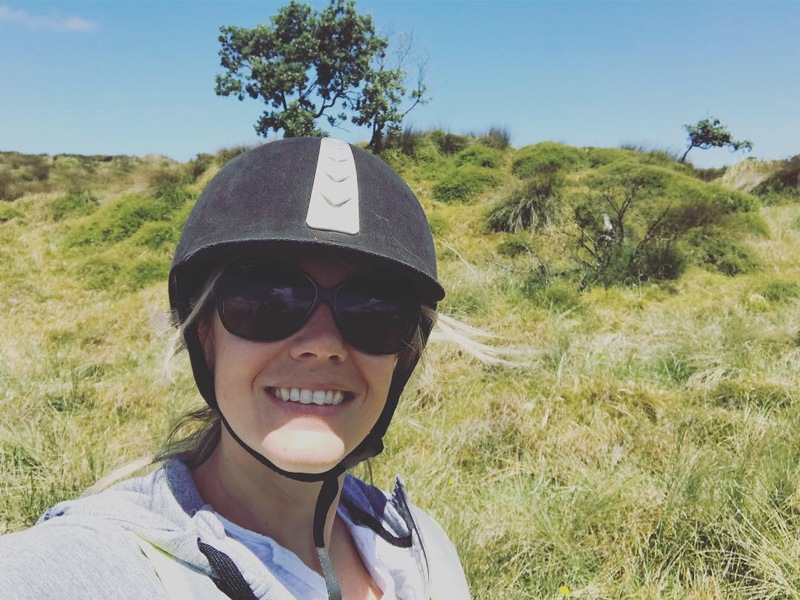 It was a really peaceful ride and a beautiful day so we all really enjoyed it. 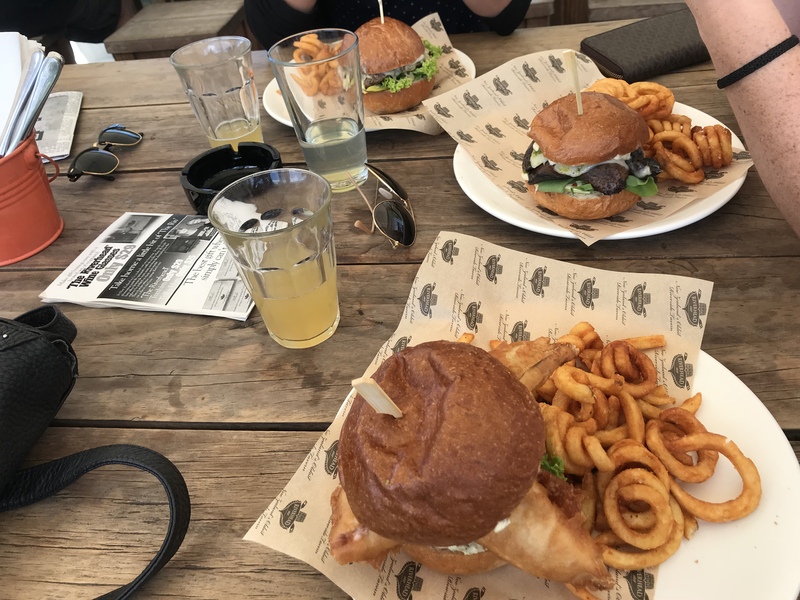 With aching legs after a really fun morning we stopped off at The Riverhead Tavern for lunch on the way back to Auckland. 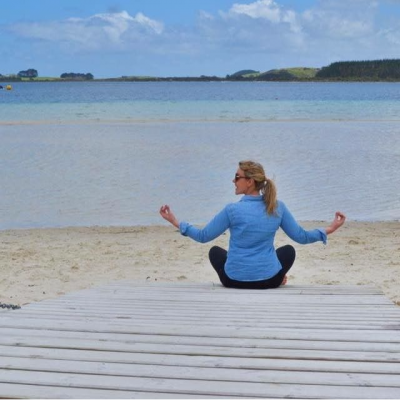 If you’d like to book yourself on to one of the Muriwai Beach Treks, further information can be found here.